At any rate, I've been showered with some more awards. Firstly, from the lovely NancyFace, I received this gem. Well, howdy do, I thought I was pretty funny, but now I have 87 grams of sugary sweetness to back it up.I'm having a hard time figuring out who to pass this out to... Lots of you make me laugh, but I think the one gal that always makes me smile is The Pineapple Princess. 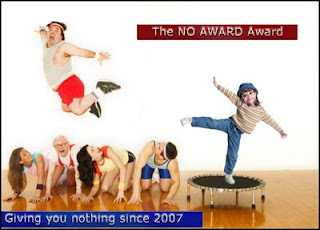 The rules: By accepting this Excellent Blog Award, you have to award it to 10 more people whose blogs you find Excellent Award worthy. You can give it to as many people as you want-even those that have received it already, but please award at least 10 people. I give it to everyone that reads my blog. Y'all make me excellent. And lastly, Randi gave me an award for no reason at all. This one was thought up by her lovliness, No Cool Story, go here to read the whole story. 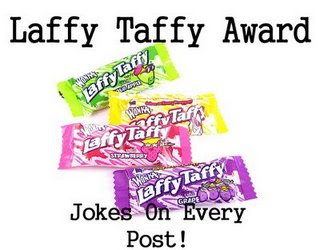 I think everyone that hasn't had an award should go ahead and take this one. Because we all blog for different reasons, and that, my friends, is what makes this crazy little cyber world we live in so dad gummed special. So really, take it. You know that you've written some excellent posts. You earned it, yes indeedy. Click on that link up there to pick the one that really suits you. As always, thanks so much! It totally makes my day to get these.